Zilvinas Kempinas brings another exhibition to Sao Paulo. Check it out! The Lithuanian artist Zilvinas Kempinas arrives for the second time at the Galeria Leme with a solo exhibition of his kinetic sculptural installations created with fans and unspooled magnetic tape (check out the video made at MoMA last November). Despite that, he will also bring new pieces that traverse the boundaries between drawing, painting and sculpture. These never before seen works are composed entirely of straight polyester thread that crisscross the surface of panels full of pins spaced all around it. 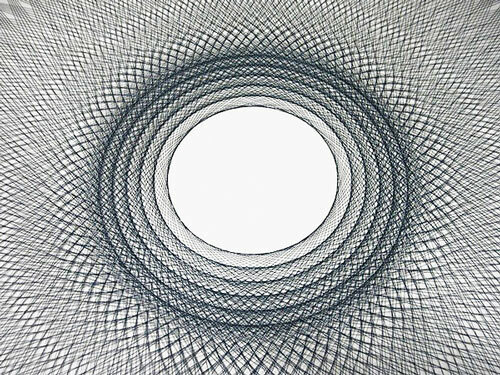 Each piece is titled after a star, and their radial vortexes recall models of space-time warped by celestial objects. The works also parallel the combination of mathematical abstraction and sheer wonder that underlies our conception of space. It's worth a visit! Zilvinas Kempinas has had numerous solo exhibitions internationally, including Galerie Yvon Lambert, Paris and New York; The Garage Center for Contemporary Culture, Moscow; Baltic Center for Contemporary Art, Gateshead; Wien Kunsthalle; Contemporary Art Center, Vilnius; and Palais de Tokyo, Paris. His work has also been seen in important group exhibitions including ‘On Line: Drawing Through the Twentieth Century’, MoMA, New York; Yokohama Triennale, Japan; Liverpool Biennale, England; and Manifesta7, Bolzano. 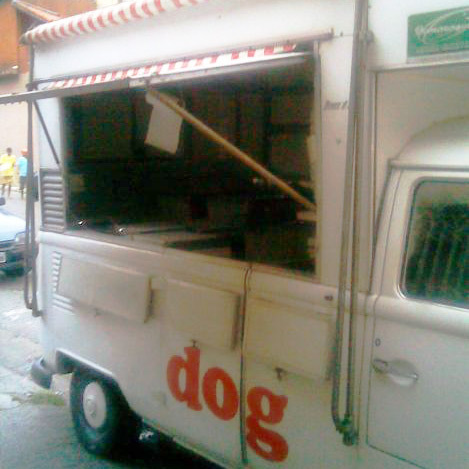 In 2009, the artist represented Lithuania at the 53rd Venice Biennial. Kempinas’ work can be seen in the current display of the permanent collection at Centre Pompidou in Paris. When: Tuesday to Friday, from 10 am till 7 pm; Saturday, from 10 am till 5 pm. Closed on Sunday. The exhibition ends on March 31st. The São Cristovão Bar is small and almost always gets crowded. Its decoration is the highlight of the place. 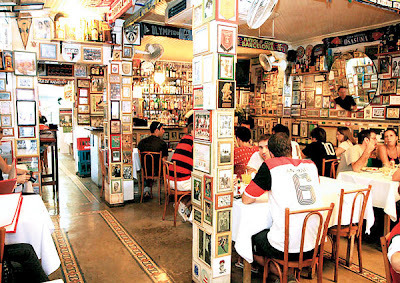 Composed of newspaper clippings and old photos of famous soccer players like Pele, Zico and Garrincha, covering the walls. The menu offers many "petiscos" and hot dishes, especially the Bolinho de Bacalhau (codfish balls). The draught beer is "Brahma" and on Saturdays you can have an authentic feijoada. The public who frequents the bar is quite varied, ranging from soccer fans and pub lovers. The happy hour period is the busiest one. Petri Glad is an insidesaopaulo reader who moved to São Paulo last November. I had the chance to meet him on the first event organized by the blog, entitled "Insidesao Paulo Experience", where several readers could meet each other and have some beers. Petri was very excited about his recent experience of living in Sao Paulo, so I invited him to write few advices for you guys. Check it out! 1. 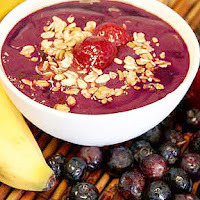 Fresh Açai at any shopping mall or stand. For about R$ 8 you can enjoy a huge portion of this famous Brazilian health food. It’s usually eaten with granola, banana or strawberry and any combination. 2. Get your barbecue meat fill at Churrascaria D'Ouro at various locations throughout the city. It’s a great budget alternative to more well-known, expensive "churrascarias" such as "Fogo De Chão". 3. Churros’ stands, an amazing dessert consisting of a "thick coiled fritter of fried dough", best with "doce de leite" (caramel) topping. This hot, sweet treat can be had for only R$ 1 in some neighbourhoods. 6. Sao Paulo hot dog stands. If you're used to the plain jane hot dog stands, these "cachorro-quentes" will delight you with amazing flavors and its original presentation. The Cachorro-quente da barraca do Allemao across from the Grand Hyatt Sao Paulo is a heavy recommendation even though great stands are found scattered all over the city. 7. 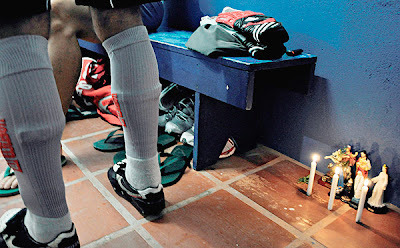 The Barraca de Ze, literally translates to "Ze's stand". Ze used to sell coconuts from the back of his truck and now he has a restaurant of the same name. At this 24/7 restaurant you can indulge yourself with fresh coconut juice (plus tons of other fruit/food choices) any day and time of the day. Have you ever craved a freshly cut coconut at 3am in the morning? Well, here's your chance. Located in the Jabaquara, a south zone neighborhood. I hope you enjoyed and I would like to invite you to share your advices on the comments below. It will be great for us, for Petri who loves to find new places to eat and everyone that is reading this post. Thank you very much Petri. It's great! After a tremendous confusion in counting the votes of the jurors, the Independent Liga Independente das Escolas de Samba de São Paulo announced that the Mocidade Alegre is the winner of the Sao Paulo Carnival 2012. The decision came from the presidents of the Samba Schools, by 7 votes to 5. 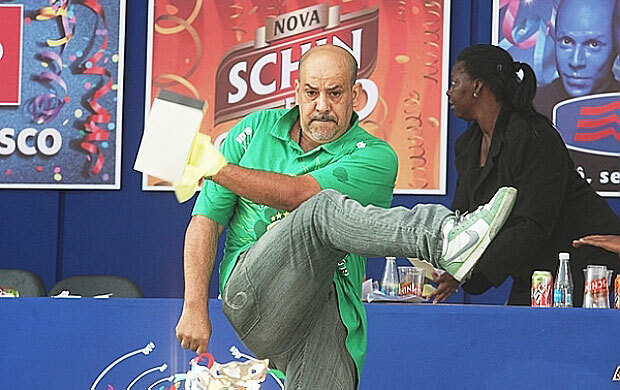 The Samba schools Camisa Verde e Branco and Pérola Negra were downgraded. Near the end of counting, when a single note 9.9 would be enough to give the title to the Mocidade Alegre, there was a invasion of a group of members of the samba schools (that weren't happy with the results). During the mess, a man could get the votes of the judges and tear them in front of everyone. There was no copy of the votes. Each of the ballot counting is done with banknote, with nine safety items and bar codes to prevent forgeries. Unfortunately, it was not enough. A representative of the suporters of a samba school could get the sheets with the notes and tear them up. The confusion was due to change of two jurors just before starting the investigation, which let some fans very angry. 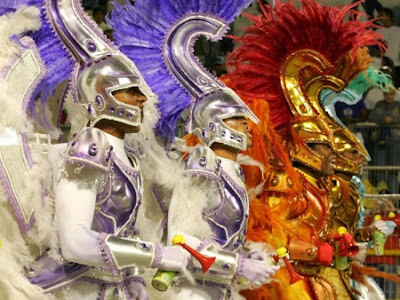 The counting of the notes of the samba schools in São Paulo was halted, this Tuesday, February 21, after invasion of the members of associations to the stage. Members of various samba schools also stormed the stage. The votes were torn, but according to the president of the Liga de Escolas de Samba de São Paulo (League of Samba Schools), there is the possibility of recovering the votes. If it's not possible, according to him, the results obtained until that very moment will become the final results and Mocidade Alegre will be the champion and Camisa Verde e Branco will drop. 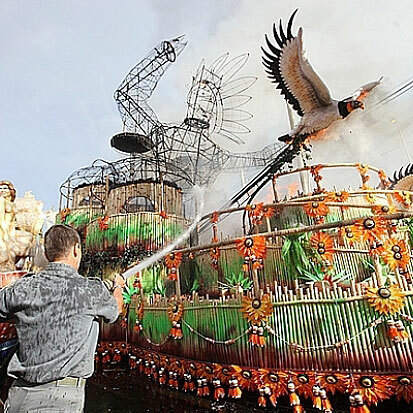 Some allegorical cars parked in the courtyard next to the Sambadrome was set on fire. Firefighters arrived quickly to control the situation, which launched a huge column of smoke. A car from the Samba School Pérola Negra was destroyed. Below you can find some advices about Casas de Samba (Samba Houses) offering Samba throughout the year in Sao Paulo. This bar was opened in 2004 by singer Graça Braga near Roosevelt Square. Every Saturday, about 500 people come to visit the bar. These days, two or three artists take turns on stage. Every Friday, the "roots" samba group Candieiro takes the stage. When: Friday, from 6 pm till 11 pm; Saturday, from 1h30 pm till 9 pm. Opened in 1968, the Alemão is one of the altars of the samba de São Paulo. It offers good music every day, but the traditional samba happens on Thursdays. When: From 11 am till 1 pm. Thursday, Friday and Saturday, from 11 am till 3 am. On holidays, from 6 pm till 1 am. Closed on Sunday. 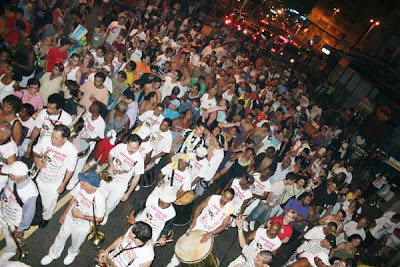 The Bar Mangueira offers a regular schedule of samba and pagode groups. Every Saturday, you can taste a feijoada (R$ 38 for two). On Sundays, for lunch you can find pasta among the options. When: Thursday and Friday, from 9h30 pm till 4 am; Saturday, from 1h30 pm till 10h30 pm; Sunday, from 2 pm till 9h30 pm. The Bar Samba has a dance track around the musicians and the the attractions are always the same every week. Dose Certa plays on Fridays, for example. When: Wednesday, from 7 pm till 1 am; Thursday, from 7 pm till 2 am, Friday, from 7 pm till 3 am; Saturday, from 1 pm till 7 pm and 9 pm till 3 am. The tickets for the Carnival Parade 2012 of the Special Group are being sold at four retail points in town. Tickets will be sold per person. 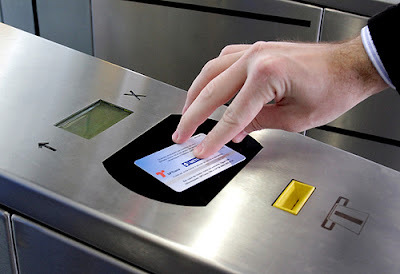 ID and CPF (Brazilian ID) numbers will be required. The SPTrans (transport department) has created two special routes for buses aiming to help the public to arrive at the Sambodrome during the Sao Paulo Carnival 2012. The bus lines departing from Barra Funda and Tietê Stations will be available on February 17, 18, 19, 20, 21 and 24, from 5 pm till 1 am. And departing from Sambodrome, from 5 am to 9 am, on the way of Barra Funda and Tietê Metro Stations. 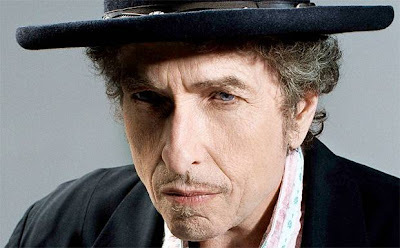 Bob Dylan will be in Sao Paulo very soon. Check it out! Bob Dylan announced today that will come to Brazil in April. The musician will offer six concerts, through Sao Paulo (April 21 and 22), Rio de Janeiro (April 15), Belo Horizonte (April 19) Brasilia (April 17) and Porto Alegre (April 24). 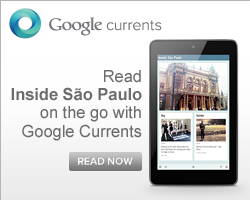 The pre-sale to Rio and Sao Paulo begin on February 27, for customers of specific credit card brands. For the two capitals, the general sale starts on March 5. For other cities, the entries will be available to the public on February 27. Prices were not disclosed. 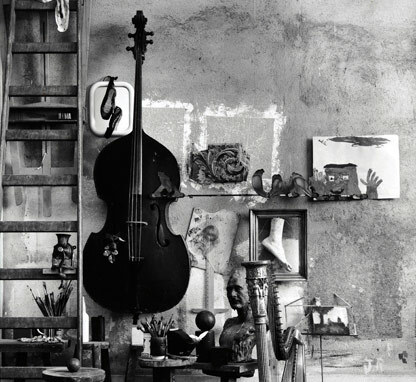 The Photo Exhibition "Momentos e Movimentos" brings 170 images using different technics. It worth a visit! Addressed at the MAB-FAAP this exhibition brings together 170 images part of the Museum's photo collection. Alexandre Battibugli,Orlando Brito, Pierre Boucher, Clicio, Mario Cravo Neto, Valdir Cruz, J. R. Duran, Juan Esteves, Thomaz Farkas, Antonio Guerreiro, Bob Gruen, Jairo Goldflus, Marcos Hermes, Horst P. Horst, Stane Jagodic, Marisa Alvarez Lima, German Lorca, George Love, Jean Manzon, Miro, Nana Moraes, Jean Moral, Morgade, Sarah Moon, Eduardo Simões, Jean Solari, Regina Stella, Otto Stupakoff, Mario Testino, Luiz Tripolli, Paulo Vainer, Pierre Verger, Amilton Vieira e Bob Wolfenson. Who wants to be part of the Sao Paulo Carnival 2012, it is still possible to buy costumes of some samba schools of the Special Group, which goes to the Sambrodome on February 17th and 18th (Friday and Saturday) at Anhembi. For now, only three schools are not available: Vai-Vai, current champion, Águia de Ouro and Gaviões da Fiel. The value of the available costumes range between R$ 200 and R$ 550. Check out on the Samba School contact list if you can find something you like. 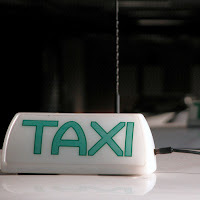 The Departamento de Transportes Públicos (Department of Public Transport) - DPT has accredited 1,500 taxi cabs to serve the public during the carnival parades 2012, which will happen at the Sambadromo, between February 17th and 22nd and also on 24th, from 22h30. 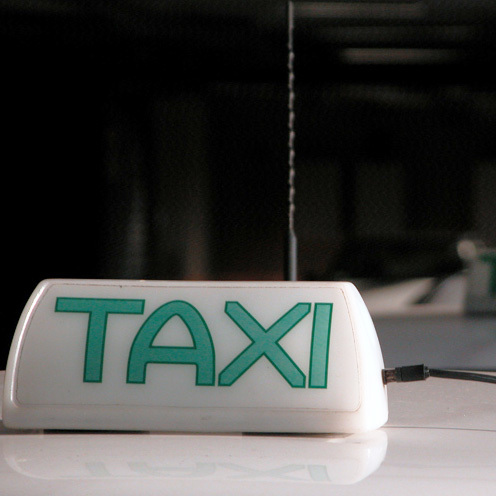 Vehicles characterized with the patch "Táxi Credenciado" (Accredited Taxi) will be located close to the event organized by the DPT. 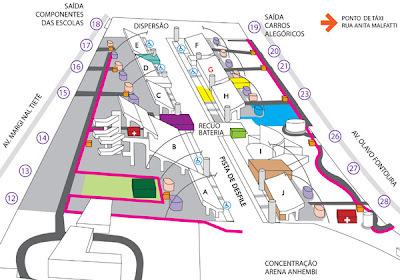 The depart areas are located at Avenida Olavo Fontoura, towards Ponte da Casa Verde to Praça Campos de Bagatelle, between gates 01 and 39, and Avenida Olavo Fontoura, between Rua Brazelisa Alves de Carvalho and Rua Anita Malfati. Starting on February 12, the subway and the Paulista Metropolitan Trains Company (CPTM) fare will rise to R$ 3.00 (it was R$ 2,90). 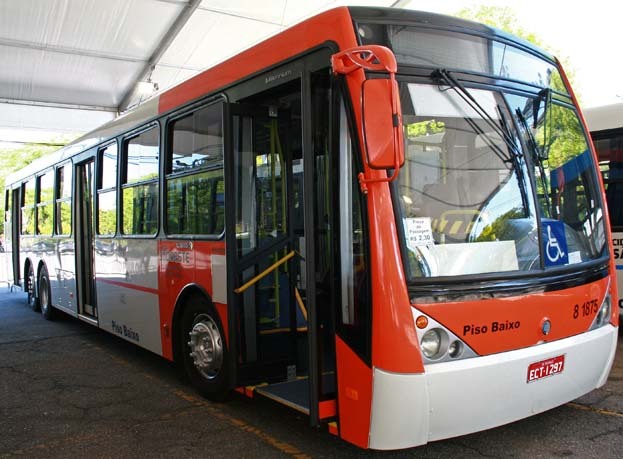 The integration with municipal bus changes from R$ 4.49 to R$ 4.65. It means an increase of 3.45% and according to the state Department of Transportation, it increased less than the last year inflation, which was 6.5%. Every year, the adjustment happens in February. Check out where you can find each one of the Samba Schools included on the Special Group of the Sao Paulo Carnival 2012. Saturday at 10 pm (not on February 4th). When: Thursday at 10 pm and Saturday at 11 pm. Saturday at 10 pm (R$ 20). Tuesday and Thursday on the street at 8h30 pm (R$ 10). 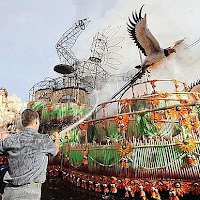 Related link: Sao Paulo Carnival 2012: Samba School rehearsals - time schedule 2012. Check it out! 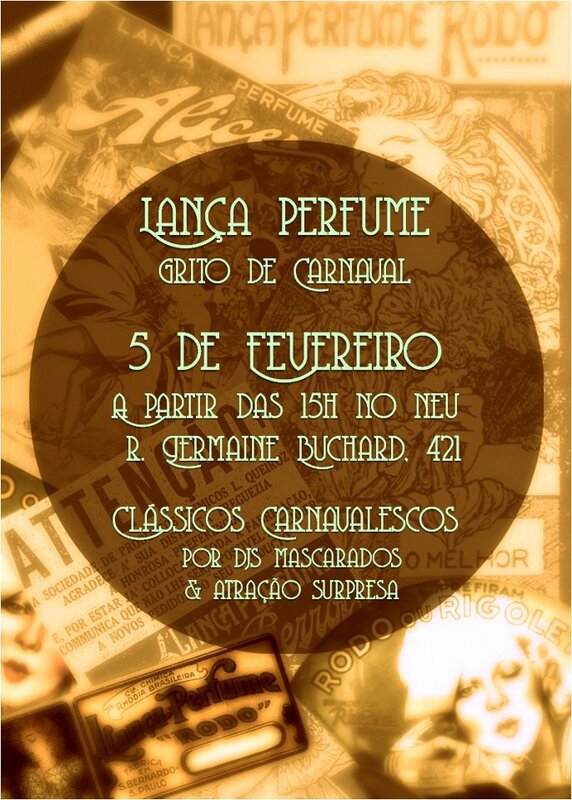 A carnival party entitled Lança-Perfume will take place at Neu Club lounge on the first Sunday of February. Marchinhas, frevos, sambas-enredo, axés and all kinds of carnival music under the command of the DJ `s: Clovis, Nega do Cabelo Duro and Fui Para Salvador com R$ 50! To participate, just send an email with your name and your guests to: lancaperfumeafesta@gmail.com (R$ 10 with name on the list, R$ 15 with no name on the list). In addition to confetti and serpentine, have an attraction surprise. And there's going to lose? When: February 5th, from 3 pm till 8 pm. Price: R$ 10 with your name on the list or R$ 15 without. The new album "MDNA" has not even came out and Madonna declared that will come to Brazil. According to the newspaper Destak, the pop star will be here in November and Sao Paulo is certainly, one of her destinations (dates and locations will be determined soon). The trip is part of the South American tour promoting the new CD. 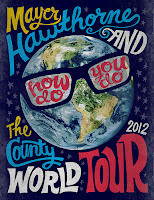 The tour also includes concerts in Buenos Aires (Argentina), Santiago (Chile) and Lima (Peru). Madonna came to Brazil in December 2008 (when she met Jesus), during the world tour "Sticky and Sweet". With a retro look and songs with strong references to R&B, the American Mayer Hawthorne is back to Sao Paulo for a concert at the Cine Joia. The tour releases the new album that has Snoop Dogg as a partner in one of his songs. Hawthorne performed in Brazil on January 2011, opening the concert of Janelle Monae and Amy Winehouse in Brazil, it seems that the show has everything to be a success! 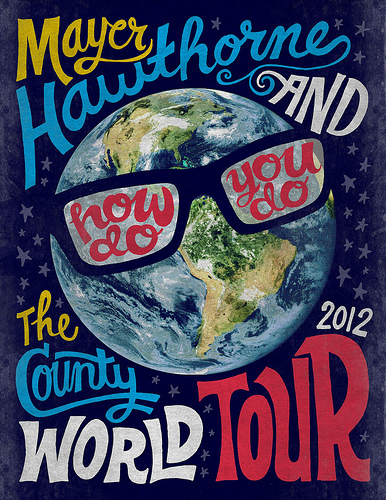 Check out this funny announcement video of the How Do You Do World Tour.